We have a very large supply of anti-static bags on hand and ready to ship out today. We have a great variety of ESD packaging products such as static shielding bags, conductive tubing, cushioned (bubble) bags for transport of delicate electronics, and antistat bags. 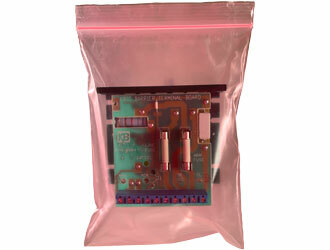 ESD bags are available in a variety of sizes and styles. Choices of our static shielding and anti-static bags include open top, metal-in shielding, and zipper top.